I usually say I don't get sick. When, on rare occasion, I do catch a common cold it tends to build up slowly over a couple of days. Friday afternoon it hit me like a sledgehammer. 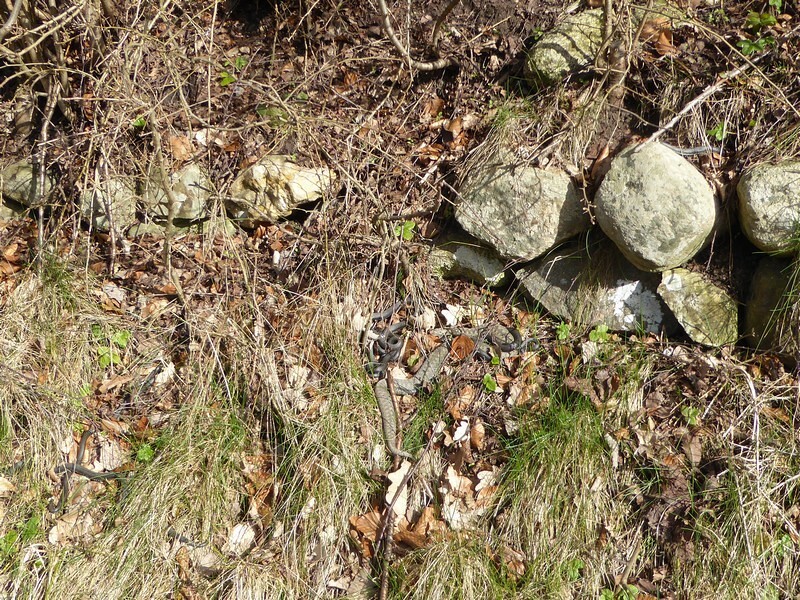 Found 13 adders - new record for the spot - incl. the first female of the year. 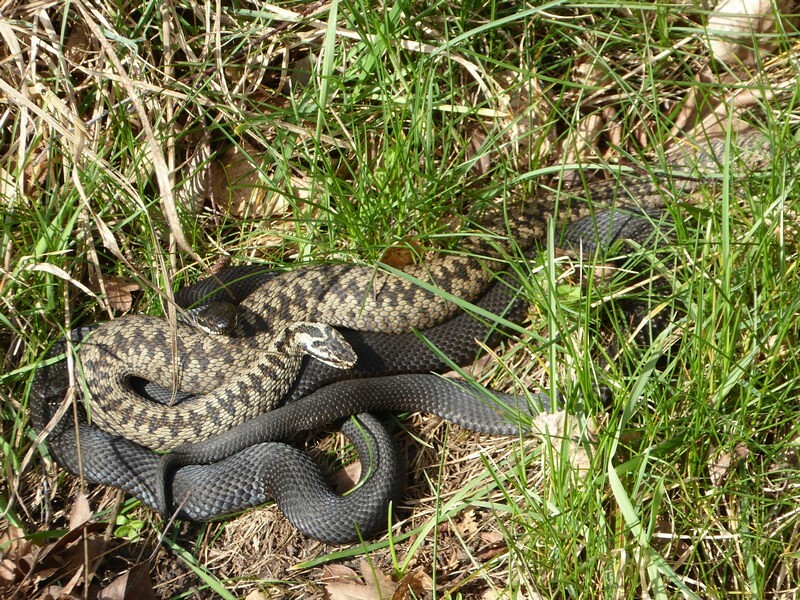 Also the first grass snake and the first slow worms of the year. At this time of year so much is happening it's interesting to follow day by day, when possible. I did the same round today at the same time of day in somewhat similar conditions - 1-2 degrees colder, but a bit sunnier. 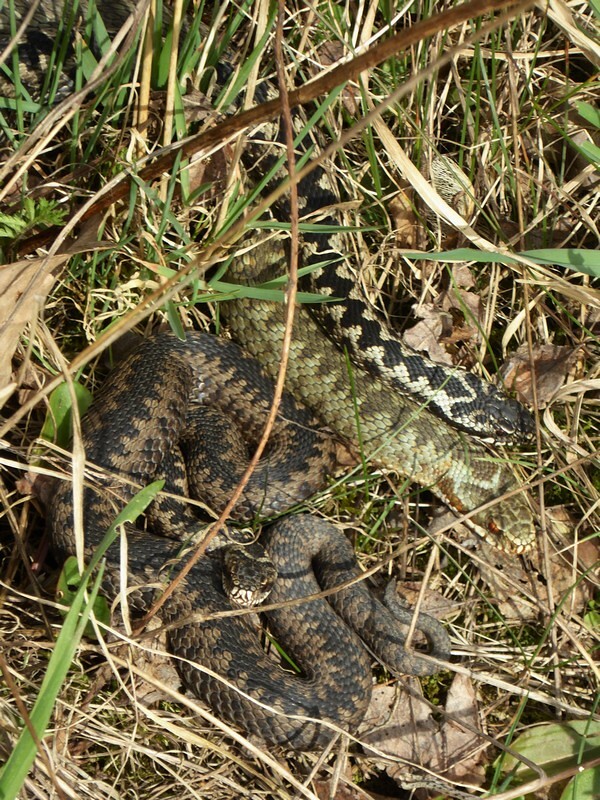 Adder wise the result was similar, 9 specimens, 8 of them also seen yesterday, 1 fresh out of brumation at the den. 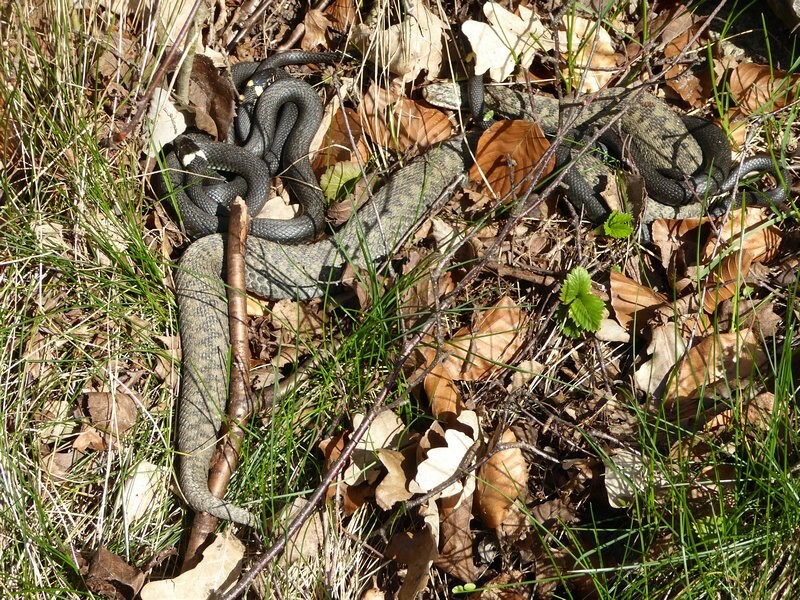 Whereas yesterday all adders were basking fully exposed 2 of the 3 melanistic ones were almost fully concealed today with the scales just barely showing through the grass, typical behaviour later in the season, and I guess indicative of the main advantage of melanism in northern snakes. 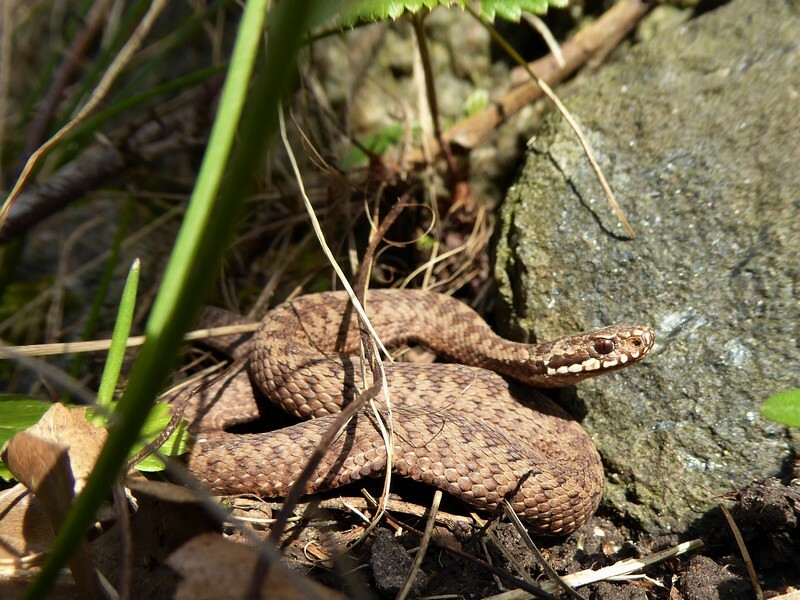 The real difference, though, was in the grass snakes, just 1 at the main den yesterday, a total 16 today, including 6 just outside the main den and 6 in the immediate surroundings. Nice finds - helps you get well very much. ...& yes, I'm fine again - a little field time works wonders. Tempo mating season started today in my local ditch. Blue arvalis this weekend? Probably, judging by how it moved up from Flanders until N Netherlands over the last days. Third - a couple of lonely males, no blues. Tomorrow could be the day at the second spot, but alas... I don't have the time.